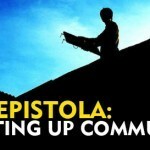 Ever wondered whatever happened to Kiko Rustia? 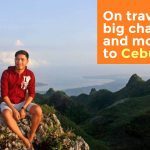 The former Born to Be Wild host may have veered off being the face of GMA 7’s renowned travel and wildlife show— the Philippine’s very first nature documentary show, according to Wikipedia—and shed the Jack Sparrow locks, but he’s still out there wandering. 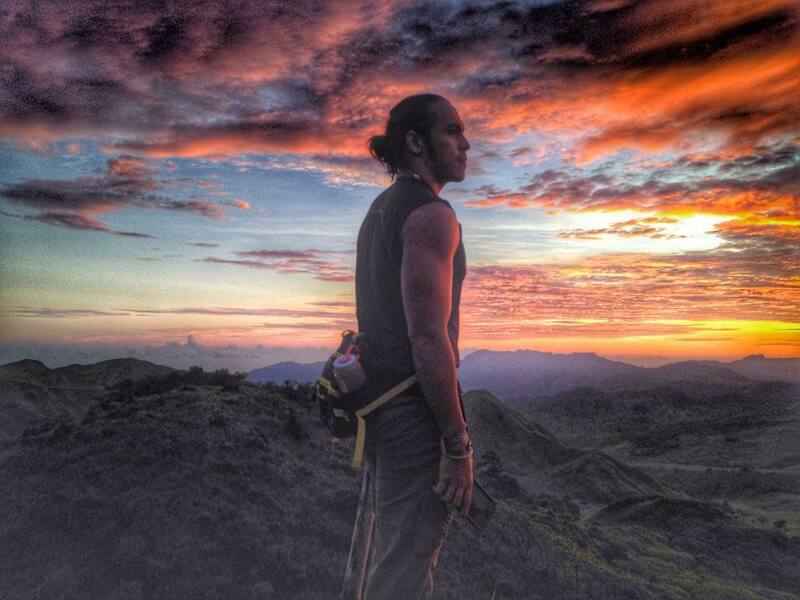 For Kiko, the adventures did not end with his stint as host of the multi-awarded TV series. 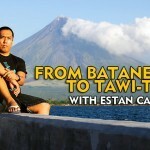 While the airtime nowadays may not be as much (the TV guestings still come from time to time), his explorations continue—from filming documentaries with celebrated National Geographic director/producer Gabriel Malvar, to starting a tech blog where he calls himself “a caveman with a knack for technology,” to falling in love with Boracay over and over again. Plus, he now has two gorgeous angels under his wing, and, for him, his foray as a father is a new and exciting journey altogether. 1. How’s life after Born to Be Wild? What’s keeping you busy these days? 2. How do you think beaches in the Philippines fare compared with their foreign counterparts? 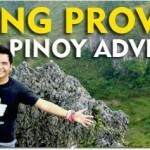 What are the areas that you think Philippine tourism needs to improve on? 3. What are your top three Philippine beaches? 4. We heard Victory Liner is taking a more active role in promoting Philippine tourism and that you are their brand ambassador. How did you end up working with them and what are some of Victory’s initiatives meant to bolster local tourism? 5. What are the highest and lowest points of your travel history so far? 6. What is the silliest thing that you have done or that happened to you while traveling? 7. 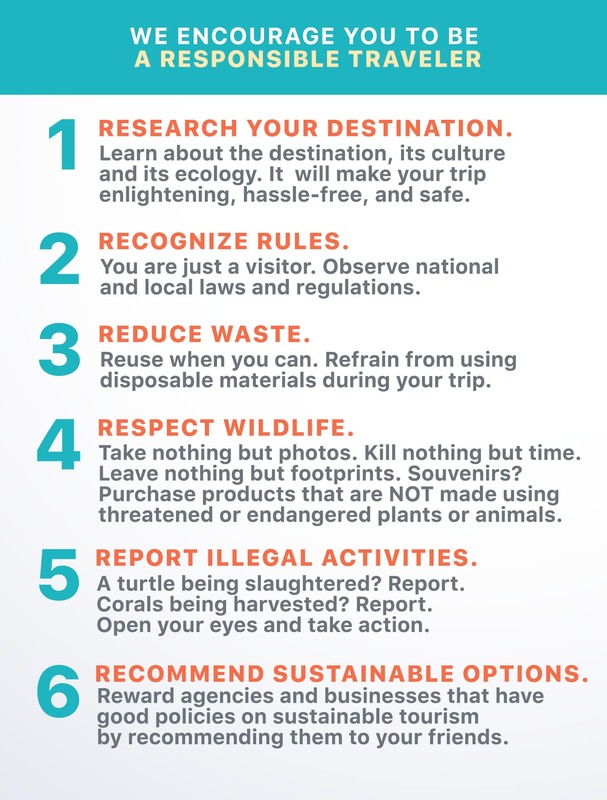 Any other advocacies you have that you believe both tourists and travelers should be aware of? Well, life after Born to Be Wild has been another adventure entirely. The TV career had to be put on hold since my wife and I were blessed with two beautiful babies. Our little boy Rai Franco Ka’Likha was born last 2015 and our little princess Raia Franchel Ka’Aya came earlier this year. Work before would take me to far-off locations, sometimes weeks on end, and I can’t afford that kind of schedule now that I am a full-time, hands-on, and dedicated father. A few hours seem like an eternity when I’m apart from my kids. I also ran for public office (as Pasig City councilor) but missed the seat by just two positions. Still, not bad for a first-timer. Right now, I’m spending a lot of time in Boracay, which I consider my second home. My wife and I are busy with the renovations of a property we acquired there, which we’ll turn into a small hotel and backpackers inn. It’s one of my lifelong dreams finally being fulfilled! Though I haven’t been to exotic locations like the Caribbean, French Polynesia, and the Bahamas, I’ve traveled around Asia enough to tell you that the beaches here in the Philippines are the best! Comparing our beaches here with our Asian neighbors, I can say I have yet to see a beach that would match our shores. It shouldn’t just be left in the hands of the LGUs and the DENR. I believe the Tourism Department should also have a hand in the responsible development and protection of tourist destinations. Boracay – Though a lot has changed, I’d still and will always consider Boracay as my number 1 Philippine beach because beyond the sand, the sea, and the coconut trees, the real beauty of this island exists in its people. The true locals who embraced and welcomed me when I first came there as a nobody years ago, they took me in and treated me like family. Babuyan Islands – Those stretches of beaches in Camiguin Norte are almost untouched and that’s just beautiful. Thanks to the place being isolated and very difficult to reach, Babuyan was able to keep its white sand secrets free from exploitation. I’m talking about kilometers of white sand beaches, waves big enough to surf, and, during certain times of the year, migrating humpback whales breaching the ocean surface! It’s the combination of that raw nature coupled by the simple way of life that makes Camiguin Norte magical. It is sad to note, however, that though the white sand beaches in the Babuyanes are untouched, areas with magnetite containing black sand are being mined and pillaged. Batanes – It may not have a beach that would rival Boracay and Palawan, but Batanes just takes you to a different world when you’re there. The green pastures ending in high sea cliffs with a sweeping view of the West Philippine Sea makes you feel like you’re in a Lord of the Rings movie. And then there’s that boat ride to the island of Itbayat, which can give you a chance to see your life flash before your eyes. The weather in Batanes can shift from calm to crazy in an instant, and if that happens when you’re on a boat to Itbayat from Basco, or vice versa, think…YOLO! 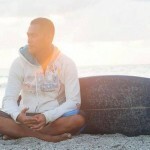 BEACH BUDDIES: As a member of a championship dragon boat team, Kiko Rustia nurtures an affinity with the sea, which he enjoys sharing with most of his friends. Photo from Kiko’s Instagram account. I and Ms. Marivic, the VP for Marketing and Finance of Victory Liner, met one day to brainstorm and throw ideas around. They previously considered me as their next travel ambassador, and during the meeting, I shared with them my advocacies, which I believed could make Victory Liner’s next campaign even more meaningful. Ms. Marivic and I both wanted to give back to the people who made the company what it is now: the passengers who trusted us all these years to take them home. We want their stories to be known. As such, we’re producing a documentary series where their stories will be heard and the lesser-known tales of the land they call home will be told. The lowest point would be when I had just returned from a monthlong backpacking trip across Indonesia. Barely a few days here in Manila and my car was broken into. The thief made off with my backpack, which contained my passport with visas, my travel journal that has detailed accounts of my trip to Indonesia, money, and a lot of my travel essentials. Major, major, bummer! I personally think I have yet to experience the highest point. I feel the highest point of my travel history would have to be when my two little babies are big enough to travel and appreciate all the beautiful places I would love to take them to. I can’t wait to share adventures with them! Being chased by a swarm of angry giant bees! I got stung on both hands and they swelled up looking like Pacquiao’s boxing gloves after a few days. FYI: It was the bee expert we were with who actually disturbed the hive of giant bees. Good job, expert! Leave a positive mark everywhere you go. Make as much memories. Touch as many lives. 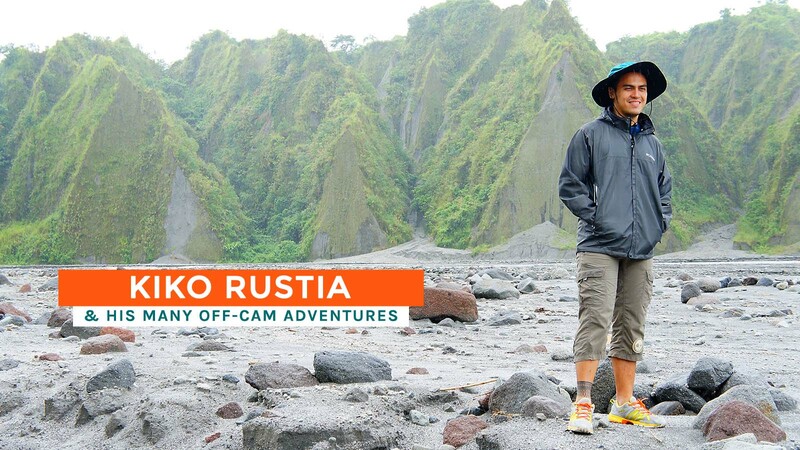 BORN TO BE WILD…AND WANDERING: Great adventures will always be on the horizon for Kiko Rustia. Photo from Kiko’s Facebook account. My favorite Pinoy food is: Laing. The weirdest food I have tried is: Live millipede. My ultimate travel pet peeve is: Making maps and itineraries. Longest ride: Batanes! Basco to Itbayat. Just three hours of boat travel, but the best way to describe it is this: if hell had an ocean to cross, that would be it. The most romantic place in PH for me is: Boracay. My steamiest travel moment happened in: Too many places, HAHAHA! I once got my heart broken in: Boracay. I once got awfully LOST in: Palau. I never expected that I would fall in love with: Guam. My absolutely favorite place in PH is: Boracay. You will be surprised to learn that…: Before being famous for its white sand beaches, Boracay was already internationally known for the highly fashionable puka shells found at Puka Beach in Yapak. The term Boracay comes from the Old Malaynon word “borac” meaning cotton, referencing the white powdery sand of the island. He might be the only Survivor PH castaway that I can remember. Where them locks, though?